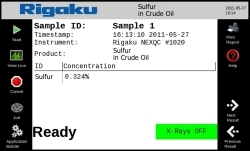 As a premium low cost benchtop X-ray Fluorescence (XRF) analyzer, the Rigaku NEX QC delivers wide elemental coverage with an easy-to-learn software interface in a robust package designed for industrial at-line quality control elemental analysis applications. 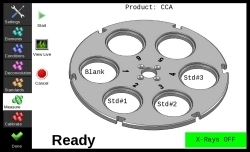 Easy to understand icon driven software. 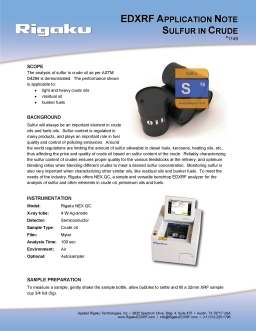 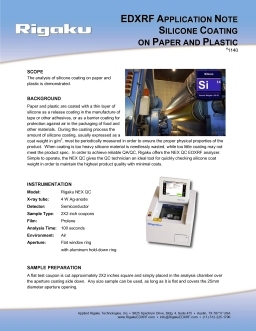 Single position, large sample or autosampler. 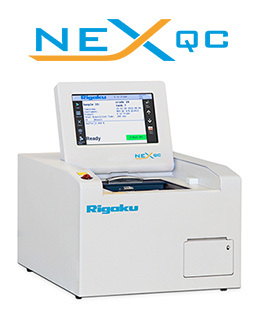 Specifically designed for routine quality control applications, the new Rigaku NEX QC features an intuitive "icon-driven" touch screen interface for easy operation and a built-in printer for convenience. 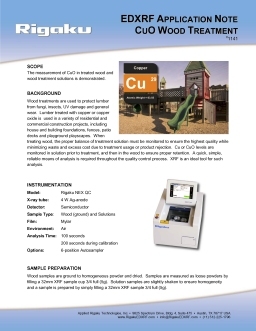 The shuttered 50 kV X-ray tube and Peltier cooled semiconductor detector deliver exceptional short-term repeatability and long-term reproducibility with excellent element peak resolution. 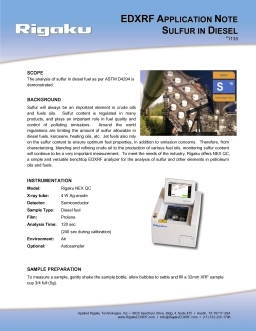 This high voltage capability (50 kV), along with multiple automated X-ray tube filters, provides a wide range of applications versatility and low limits-of-detection (LOD). 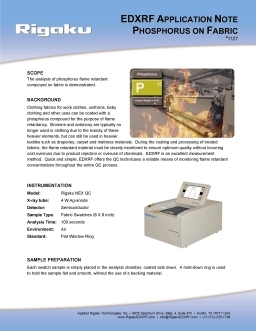 Options include fundamental parameters, automatic sample changer, sample spinner and helium purge for enhanced light element sensitivity.